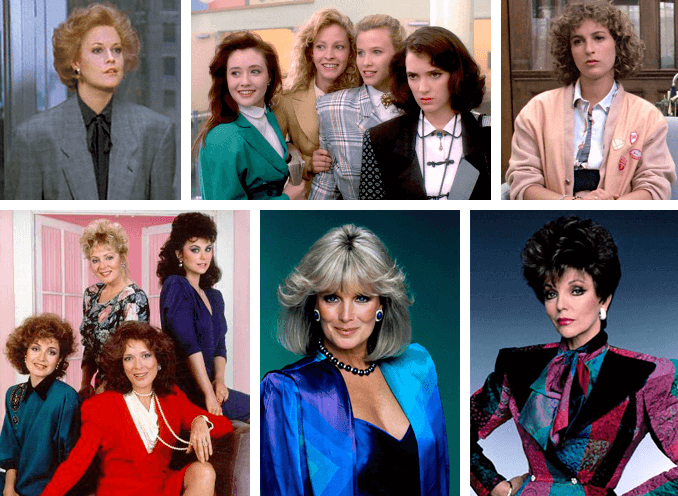 The 1980s is known for being big and bold in every way – hair, shoulder pads, bright colours and bold patterns. 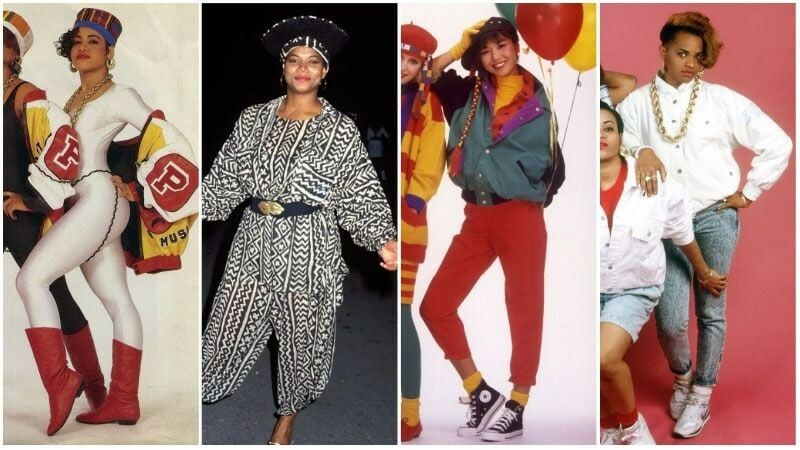 It can be a challenge to pull off the style of the 1980s, but with our vintage patterns, it’s possible to take the best elements of the decade and put your own modern twist on it. 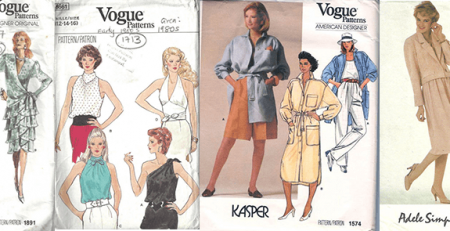 For a powerful look, read on to find out more about vintage sewing patterns from the 1980s. Having seen the rise and fall of hemlines in decades gone by, by the 1980s you would find a range to lengths, from long flared skirts to mini-skirts. It was as much about how you wore dresses and skirts, and the fabrics they were made in, as the actual garment itself. Influenced by the likes of Madonna, it became popular to layer these items in fabrics such as Lycra or leather over leggings, accessorising further with pearl necklaces and beads, rubber bracelets, fishnet gloves, hairbows, headbands and lace ribbons. You can see the popularity of layering techniques in the designs in the different dress patterns we offer at The Vintage Pattern Shop. When it came to trousers, they were still slightly flared, often doing up to the waist. Lengths graduated up the calves, and skimmed the angles. Leggings and legwarmers were more popular for casualwear, but trousers could be worn just as much as skirts within professional settings, teamed with a padded jacket for the era’s classic touch of power-dressing. You can explore the range of different suits in this powerful style on our website. 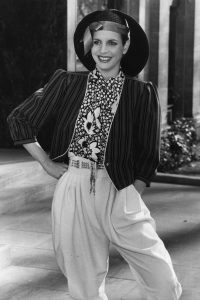 Interesting and varied styles of tops were worn in the 1980s, including crop tops and tube tops for casualwear. In the workplace, it was popular to wear blouses in contrasting colours underneath skirt suits. When it came to using different fabrics, dacron blouses became a popular choice. Additionally, there was a Japanese influence, which saw geometric diamond patterns and horizontal stripes rise in popularity, with kimono-inspired blouses layered over clothes. The variety of types can be seen in the 1980s vintage sewing patterns for blouses and tops on our website. Within our range of jackets and coats, we stock a pattern for a jacket dress, with belt included, as well as a suit pattern which includes a pattern for a blazer-style jacket with both skirt and trousers. 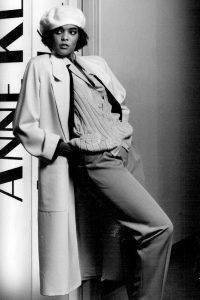 During this period, cropped and long jackets were popular, as well as cloth and faux fur coats, and revisable coats with leather and faux fur. Along with the big-is-better mentality through fashion, these items could often be bulky due to the typical materials used, but it is possible to use the patterns in lighter fabrics too. If you would like more information about our 1980s collection of patterns, please get in touch by completing our contact form, or by emailing us at thevintagepatternshop@yahoo.com. Alternatively, you can speak to a member of our team direction by calling us on either (0044) 1621-331441 or (0044) 7595261171. We will be happy to answer any questions you may have for us.